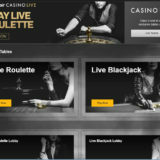 Evolution voted EGR Live Casino provider for the 8th Successive Year. 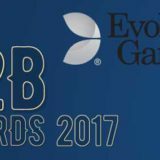 For the eighth year in a row, Evolution Gaming has been named Live Casino Supplier of the Year in the EGR (eGaming Review) B2B Awards. Seven other suppliers were shortlisted for the award. 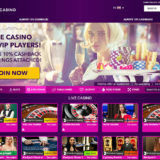 In an unbroken run of wins, Evolution Gaming has retained the top Live Casino Supplier award every single year since the EGR B2B Awards began in 2010. “Once again, this has been a remarkable 12 months for Evolution. In an increasingly competitive Live Casino sector we have further underlined our leading position with a host of innovative new products. 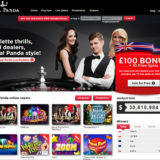 New Evolution games launched during this period included Ultimate Texas Hold’em, Baccarat Control Squeeze, Speed Baccarat, Caribbean Stud Poker with Progressive Jackpot and our Dream Catcher money wheel. There were also the first UK installations of our on-premise Dual Play Roulette at the prestigious Ritz Club and Hippodrome casinos in London, and another new studio — the first in Romania — at the Grand Casino Bucharest. “I thank all of our staff, our licensees and our players for this award. To win it once is an honour. The seven other suppliers shortlisted were Authentic Gaming, Extreme Live Gaming, Ezugi, MediaLive, NetEnt, Playtech and SA Gaming.